Henry George Classen: city mission leader and church planter; born 14 March 1907 in Insel Chortitza, Chortitza Mennonite Settlement, South Russia to Gerhard G. Klassen (19 December 1863, Burwalde, Chortitza, South Russia - 1 June 1916, Insel Chortitza, Chortitza, South Russia) and Anganetha (Hildebrandt) Klassen (29 April 1866, Insel Chortitza, Chortitza, South Russia - 9 August 1919, Insel Chortitza, Chortitza, South Russia). He was the eighth of nine children in the family. On 31 January 1929, George married Sara Niessen in Aberdeen, Saskatchewan, Canada. Sara was born on 30 March 1910 in Aberdeen, Saskatchewan to Heinrich Niessen (1884-1950) and Aganetha (Schulz) Niessen (1882-1975). Henry and Sara had five children: Wesley, Lillian, Ruth, Evelyn, and Viola. In his later years, Henry developed Parkinson’s disease and died in Richmond, British Columbia, Canada, on 26 April 1988. Sara died on 30 March 1994 in Richmond. In his early years, Henry lived with his parents and eight siblings on the island of Insel Chortitza, where he began his education. However, his father died of a heart attack in 1916, and his mother died of typhus in 1919. That same year, Henry’s brother Gerhard was shot and killed by bandits. The rest of the family fled to Kronstal to stay with relatives. During that time, Henry attended a church event where he was converted to Christianity on 11 December 1922. The next year, all except one of the remaining siblings left for Canada, settling among German immigrants in Drake, Saskatchewan. On 25 July 1925, Henry was baptized and joined the Herbert Mennonite Brethren Church in Herbert, Saskatchewan. In 1929, he married Sara Niessen in Aberdeen, Saskatchewan. The couple settled down to farming and raising their five children in Aberdeen. Henry helped with youth work at the church and soon began to feel a call to ministry. He and Sara went to study at the Coaldale Bible School in 1944 and completed two years of study there. In 1946, the family moved to Aldergrove, British Columbia. Henry and Sara Classen began to work with the British Columbia Conference of Mennonite Brethren Churches in 1950 to establish a street ministry in Vancouver. On 21 October 1951, Henry was ordained at the Vancouver Mennonite Brethren Church for the street ministry. The Classens' work with the Pacific Grace Mission in Vancouver, British Columbia included holding services in the chapel they built, running weekly street meetings and Sunday school programs, and organizing home visitation in many of the rougher areas of the city. Henry was involved in hospital visitation and prison outreach, and he also spoke occasionally on a radio program called Lighthouse of Hope. The Classens remained in this work for 25 years. Despite many struggles in the first few years, the work of the Pacific Grace Mission Chapel continued to grow and change. By 1977, when Henry and Sara Classen retired from their work, almost 80% of the congregation was Chinese, and the Pacific Grace Chapel soon became the Pacific Grace Chinese Mennonite Brethren Church. Meanwhile, Henry and Sara moved to the Culloden Mennonite Brethren Church in Vancouver, where Henry preached occasionally, and also helped with home visitation and with teaching Sunday school. In his later years, Henry developed Parkinson’s disease, and he died in 1988 in Richmond, British Columbia. 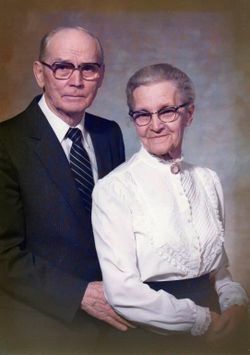 Henry and Sara Classen were dedicated mission workers who made a significant contribution to the work of the Mennonite Brethren in British Columbia. Through their work with the people of Vancouver, they left a legacy of service for others to follow. Bremner, Wayne. "Henry G. Classen: City Missionary in Vancouver." Mennonite Brethren Historical Commission. Web. 19 March 2013. http://www.mbhistory.org/profiles/classen.en.html. GRANDMA (The Genealogical Registry and Database of Mennonite Ancestry) Database, 7.03 ed. Fresno, CA: California Mennonite Historical Society, 2013: #176567. Obituary. "Henry G. Classen." Die Mennonitische Rundschau 111 (6 July 1988): 23. Obituary. "Henry George Classen." Mennonite Brethren Herald 27 (24 June 1988): 30. Obituary. "Sara Classen." Mennonite Brethren Herald 33 (10 June 1994): 27. Penner, Peter. No Longer at Arms Length: Mennonite Brethren Church Planting in Canada. Winnipeg: Kindred Press, 1987: 19, 47, 74, 130, 135. Available in full electronic text at: https://archive.org/stream/NoLongerAtArmsLengthMBChurchPlantingInCanadaOCRopt?ref=ol#mode/2up. Huebert, Susan. "Classen, Henry G. (1907-1988)." Global Anabaptist Mennonite Encyclopedia Online. March 2013. Web. 21 Apr 2019. http://gameo.org/index.php?title=Classen,_Henry_G._(1907-1988)&oldid=163585. Huebert, Susan. (March 2013). Classen, Henry G. (1907-1988). Global Anabaptist Mennonite Encyclopedia Online. Retrieved 21 April 2019, from http://gameo.org/index.php?title=Classen,_Henry_G._(1907-1988)&oldid=163585.